Mumbrella360 is the biggest marketing and media event in Australia and was named conference of the year by the Australian Event Awards last year. This year the event is looking to be even bigger with the expansion of Mumbrella into Asia-Pacific Marketing and Media. 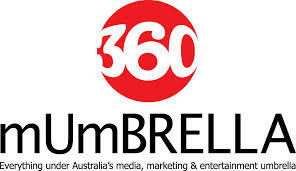 Mumbrella360 is designed to appeal to everyone in the business of media and marketing. Combining curated sessions proposed by Mumbrella readers, as well as keynote speakers and panels from Australia’s most influential media and marketing executives. Technology and creativity will be a key focus of this year’s event with discussion on data insights, social media regulation, mobile technology, the impact of media convergence and hot issues like gamification. Darren Woolley from TrintyP3 and Denise Shrivell from Mediascope will present the findings from the recent Media Industry Survey, which looked at the top challenges facing our industry within the media value chain. And the conference will conclude with the drama of the Mumbrella awards.